So my mom recently went H.A.M on some nail polishes and I am lucky to be able to gain from her splurges. 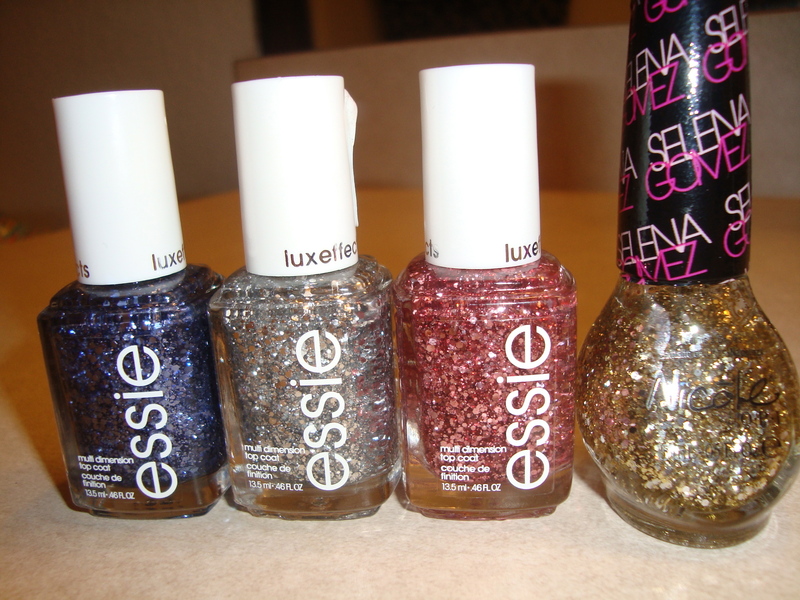 She recently discovered Essie’s luxe effects edition polishes (forgive her she is super late) and purchased all three of her favorite ones. She also got a gold version from Nicole by OPI & Selena Gomez that she found comparable but for less $ on sale. I love all four polishes and they can be worn alone or over your favorite color as I have here with my turquoise and Caicos (also from Essie). 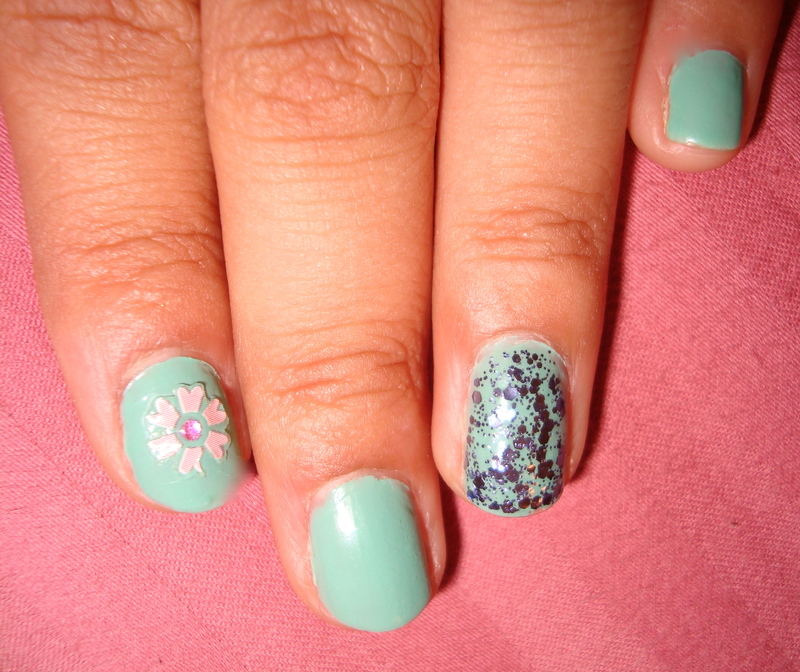 The consistency is classic Essie and lasts just as long as any of their regular polishes. 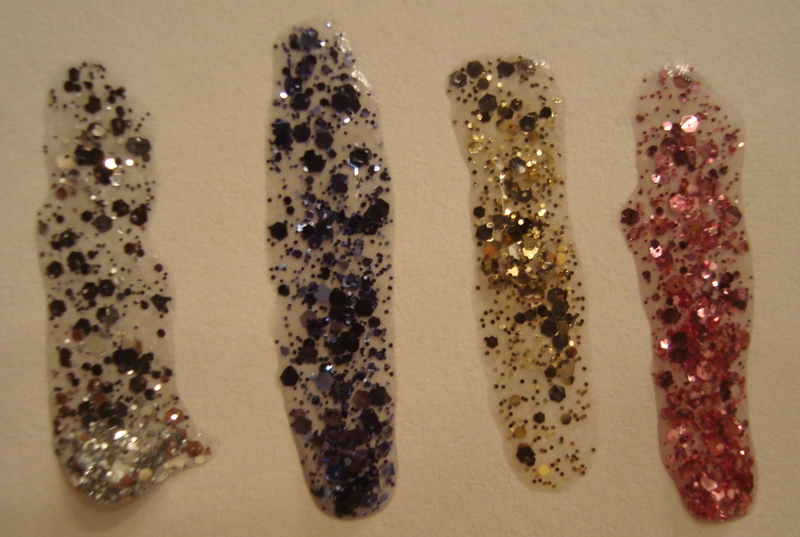 One coat is enough, but if you want to go for that extra glitz then two is fine as well. 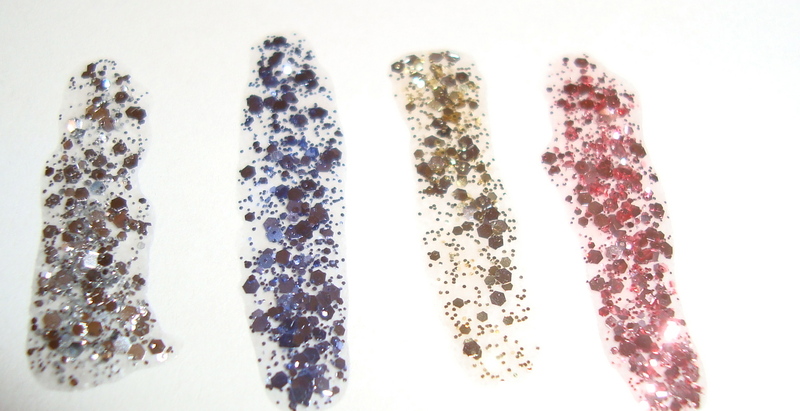 The glitter is thick and smooths over instantly. You don’t have to waste a lot of the product as other cheaper brands to get that “luxe” look. I love these and I’m super glad my mom treated “herself” so that I can borrow them!